There are many reasons that can prevent a garage door in Redondo Beach from working properly, it can be an opener problem, a garage that went out of it tracks, or simply lack of maintenance. But the reason that we get the most service calls for garage repair in Redondo Beach is a garage door spring issue. It can be extension spring that snapped, or torsion spring which need some adjustment, but whatever the reason is, when the problem is a with the spring system, the garage door will not work until the spring will be repaired or replaced. Three Beaches garage doors offer same day repair for garage spring in Redondo Beach, and can fix or replace your broken garage spring today. When a garage spring snap, and it doesn’t matter if it is a garage in Redondo Beach or a garage in Hermosa Beach, it usually happen when the door is closed (The door is down) or partly closed. It usually followed by a strong and scary sound, of a steel spring which is under a lot of tension and suddenly popped, and in some cases, mostly when it is extension spring that break, the snapped spring can cause damage to the garage door itself, or to objects which are near the door. The reason that the spring is most likely to snap when the garage is closed, whether it is in Redondo Beach, a garage in Hermosa Beach or anywhere else, is because this is the point when there is the most tension on the springs, and it is more likely to break. For better understand the way the garage work, it doesn’t really matter if it is a garage door in Redondo Beach that need to be repaired, or a garage door in Manhattan Beach, There are many possible reasons why the spring snapped. You may have ignored the maintenance which should be performed every 6 months, you may have a torsion or extension spring which is not matching the door, you may over-use of the door, or simply that the spring just got old. But there is no need to worry, in most cases the problem can be fixed, and once we will complete our same day garage service in Redondo Beach, your door will work again soon. Three Beaches Garage Doors offer same day garage spring repairs in Redondo Beach California and the area. We carry a large variety of springs that will match most of the garages in Redondo Beach, and we can fix or replace the broken spring today. What to do when the spring snapped? There aren’t many things you can do when the spring break. The best thing for you to do, is to stop using the door, and call a garage door company in Redondo Beach who can replace the broken spring and install a new spring. There is no need to panic, to try and force the garage to open although the spring snapped, or to wonder if the repair is going to cost a lot of money or even to replace the door. A spring replacement in Redondo Beach is something that we are performing every day, since like we explained earlier it is one of the common garage door issues, which can prevent a garage from opening or close. If you are considering trying to repair the spring by yourself, and not to contact a garage door contractor in Redondo Beach to replace it for you, you should know that a replacing a spring by yourself can be a dangerous job, and unless you know exactly what you are doing, and unless you have the right spring, the right tools and the experience, we will recommend you to consider using the services of a trained technician in Redondo Beach. Three Beached Garage Doors from Redondo Beach have the knowledge, the tools, the springs and the experience to match the correct spring for your garage door. To us it doesn’t matter if it is a torsion spring system or extension spring. After years of repairing garages in Redondo Beach, we know which size of springs is the most common size, and we load our tracks with a large amount of springs from different types and different sizes so we will be able to fix your spring ASAP, and to let you use a safe garage door again ASAP. Our technicians in Redondo Beach are trained, and they know how to match the right spring for the door, and how to put the exact amount of tension on the springs, to make your door work again, and more important to work in the safest possible way. What type of garage springs you can find in Redondo Beach? There are many sizes of garage springs in Redondo Beach, because there are many different types of garage doors. And for someone who isn’t experienced enough in repairing garage springs, different sizes of springs may seem alike, and you may assume that using a spring which almost the same as the right spring is going to allow your door to work again, because they look the same. But the truth is that you may be right, and the spring you purchased from a garage door supplier in Redondo Beachmay fit your door, but at the same time you may also be wrong, and in the garage door repair field – Using the wrong spring can be dangerous and even deadly. Using the wrong spring cam make the door “jump” from too much tension, or to break into the ground when there is not enough tension. And both things are risky, and you should try to avoid. If after all we just said you decided to DIY and purchase the spring and replace it by yourself, and not using the services of a garage repairman in Redondo Beach, just make sure that you have the right spring, and remember that the safe and correct way to use a garage door is with the right spring for your door, and with the right tools. The only safe and correct way to adjust torsion spring system is with torsion springs. Many of the garages in Redondo Beach are working with torsion spring system. And just like any other kind of spring system, if your torsion spring snapped, you need to replace it before trying to use the door again. And even for us, after so many years of repairing garage spring in Redondo Beach, replacing a torsion spring can be a simple project, and can be a complicated job. A lot depend on the way your garage is built, and the condition of your garage door. If it is a commercial overhead door in Redondo Beach, which may require custom made springs, there may be a waiting time of few days before we will be able to come back with the right torsion spring and complete the replacement. If your garage torsion spring snapped, there isn’t much you can do to make the door working again except from replacing the spring and install a new one. The best thing for you to do is to contact a garage door company in Redondo Beach that specialize in garage repairs, and that can replace the spring and install a new one for you. Every time customers ask us if they should repair the garage and replace the spring by themselves, the first thing we ask them is “Why do you want to do it by yourself”? If the reason is to save money, than we offer them to leave it and to hire a professional in Redondo Beach, just the time of locating the right spring, learning how to remove it, purchasing tools for the job, and installing the new spring, may take them more time and money than if they would hire a pro. But if they not hiring a local technician from Redondo Beach for the job because they are intrigued, and they love to lean and to repair things by DIY, in that case we will try and help them as much as we can, but we will always return again and again, a garage door spring repair, and it doesn’t matter if it is in Redondo Beach, in Hermosa Beach or a torsion garage spring repair in VA is dangerous, and yo­­u should never ignore the safety laws, which were written to protect you and in some cases to save your life. During many years in the garage industry we saw many different cases of people who tried to repair their garage by themselves. Some were successful and completed the repair by themselves, some just needed a little help from a pro to complete the job, and some were so far from doing it the right way that their door would never work unless we helped. But one story about someone from Redondo Beach is the most memorable one, and we would like to share it with you. We got a call from a customer in Redondo Beach who told us that he replaced his garage opener by himself, but the door still not working. He was very aggravated since he said that the opener is only 3 years old. We sent one of our technicians to check the garage, and when he got there he looked at the door and discovered that there is a broken torsion spring that the customer missed. Apparently he saw that the opener can’t open the garage, and decided that he need a new opener, but he did not do the routine check that every professional technicians in Redondo Beach would do: To check the door manually before installing a new opener. All he needed was a new torsion spring, and the door would of work perfectly with no need to look for a garage opener supplier in Redondo Beach to sell him a new opener. If he knew that the opener is not lifting the door, but what lift the garage is the spring system, he would know that if the opener can’t open the garage, it doesn’t mean that the problem is with the opener. So sometime it is better to leave the job for a professional repairman, and since we offer same day service in Redondo Beach, there is no reason to worry that you may wait for a long time for someone to come and repair the garage. If you want your garage door to keep working for many more years without interruptions, and if you want to avoid spending money on garage repairs, and would like to avoid using the services of a garage company in Redondo Beach every year, you should maintain your garage door and its parts. A basic maintenance which include lubrication and safety check can make the difference between a garage that will work smoothly for many years, and a garage that will require repairs and services every other year, and will be the cause for loss of time and frustration. It doesn’t matter if it is a garage door in Hermosa Beach, a rolling gate in New York, or a commercial overhead door in DC. Maintaining your garage twice a year, by DIY or by using the services of a local pro from Redondo Beach will save you a lot of money and time in the future. Because eventually, every garage will stop working and get stuck, the only question is when. 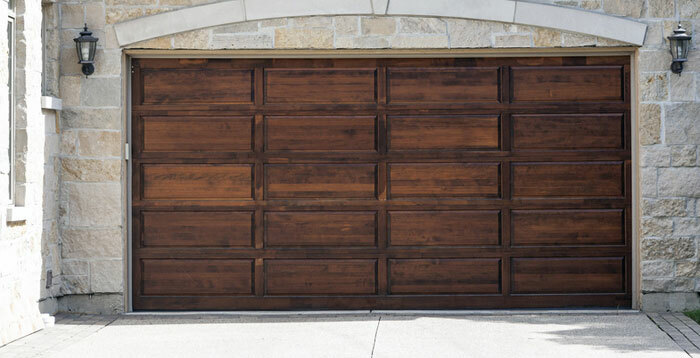 Three Beaches Garage Doors offer same day garage doors and gates repair services in Redondo Beach California. We repair, maintain, inspect and install garage doors and gates from all types and all brands. To us it doesn’t matter if you need a garage repair in Hermosa, or a steel gate repair in Redondo, we have the ability to address all types of gates and doors, commercial and residential. Just give us a call, and we will be on our way today. Same day spring repair in Redondo Beach. New spring installation in Redondo. Garage maintenance service in Redondo Beach. Fix all type of garage door spring in Redondo. Professional and experienced technicians in Redondo. Since we carry with us all types of springs, we can replace the snap spring today.